Sometimes we can fall into the trap of thinking a client might be ‘boring’. But if you think of your clients as boring, you’ll not be in the right frame of mind to come with any compelling or creative stories. So it’s good to remind ourselves that ‘boring’ like beauty is in the eye of the beholder, and there are always compelling stories about any business – all you have to do is find them. What makes compelling stories are people – people are endlessly fascinating. And there are 4 sources of ‘people stories’ in any business and in this article, I’m going to show you how to tap into them. Last time, we explained how content marketers and link builders can create linkworthy content by using a method that traditional journalists have been using for decades. Building news articles and features with ‘real people’ stories that have a strong emotional pull and draw readers in. That might be fine for trained journalists, but how do content creators like us find ‘people stories’ that can produce the strong, unique content that publishers love so much? Staff are probably some of the most knowledgeable people within your business. They’ll be enthusiastic about their work and will have many untold stories on how they’ve solved customer’s problems – stories that are easy to unlock! 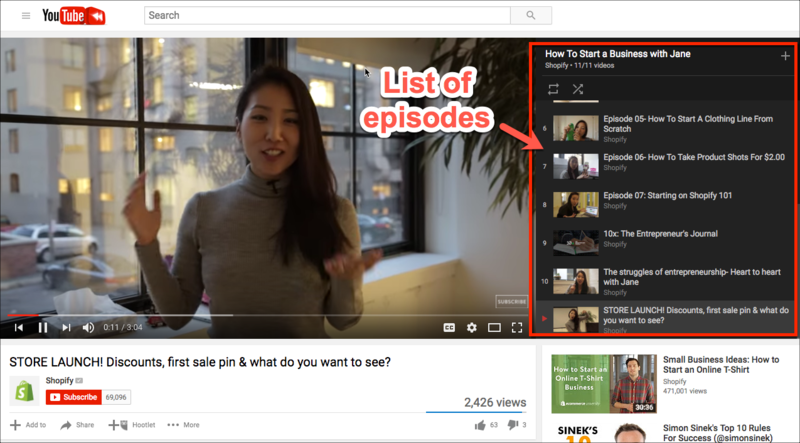 Let’s take the example of Shopify whose YouTube channel frequently feature videos in which team members talk about their work, their experiences and backgrounds. It’s a lively channel that bounces along with some terrific content. “her thoughts and tips on e-commerce, and provides some insight into how entrepreneurs can improve their online businesses”. The important point is that the news story was told through her experience and how she felt about it. Jane’s personal perspective makes the story come alive. Other businesses might have just issued a dull press release and might have been left wondering why they got zero coverage. 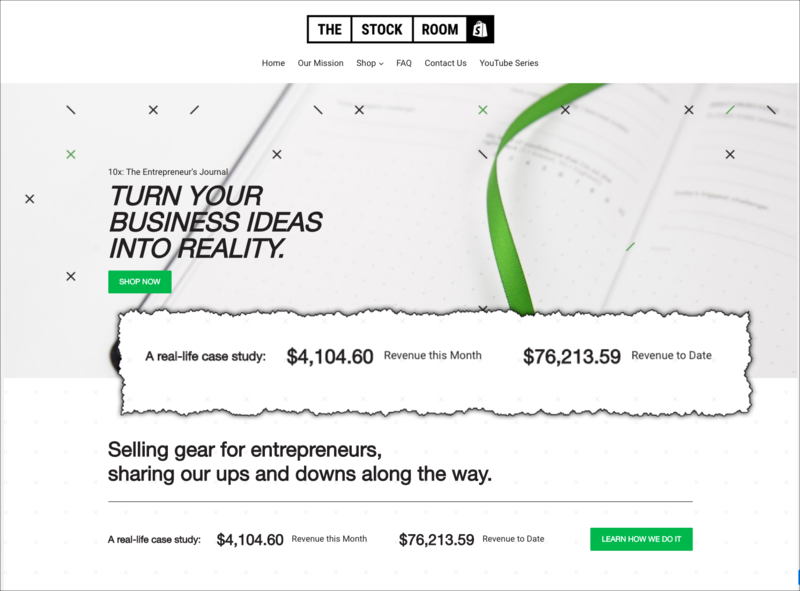 But Shopify took a bold and creative step and that paid dividends. And the content they created didn’t disappoint. 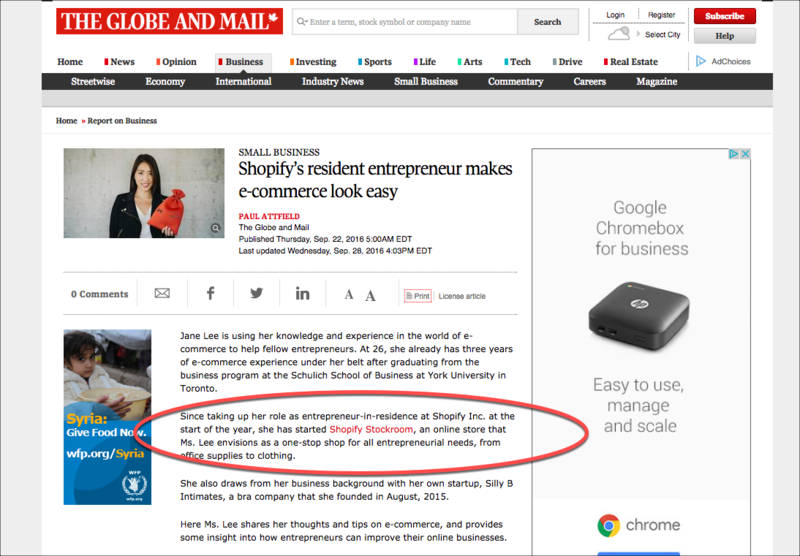 The Globe and Mail link directly to the shop that Jane created – and even better – provided a running total of how much the store had made this month and overall to date. That’s a clever move – any pertinent feature that updates might well be worth a link. Of course, you can’t guarantee editorial links, but providing a running total of how much money the shop has generated is a powerful incentive to link – it adds a new dimension to the story. And the series of video on the YouTube Channel is not afraid to talk about the difficulties of being an entrepreneur. How could you approach staff for stories? Your first step here might just be informal, friendly chats with staff you have contact with. It’s always good to stop and have a chat and listen to what people are interested in. If staff have parties or fundraising events, try to go along and show an interest, have conversations and listen to what people say. You may also be more formal. As part of a consultancy project, I’ll often ask to meet with key staff. If I can build a rapport with them, stories will often emerge – and some of them can be a great foundation on which you can build. “Customer stories are buried treasure in telling the world about your business – but most owners don’t do any digging to find them.”Companies normally ask customers to fill out surveys, give feedback or testimonials but few dig deep to find exceptional stories. This is a missed opportunity – you must really listen to customers and ask them what they think …or dig into customer data – you’ll often be surprised and delighted with what you can find. Companies normally ask customers to fill out surveys, give feedback or testimonials but few dig deep to find exceptional stories. 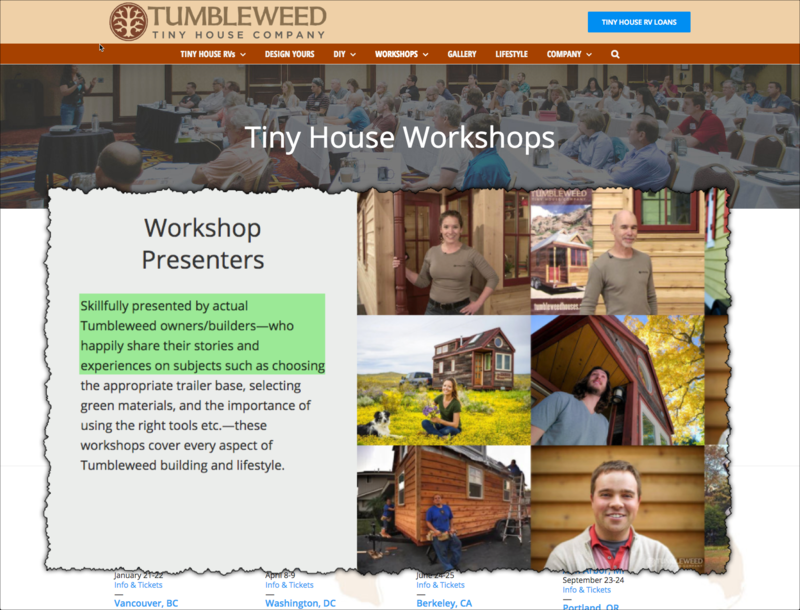 This is a missed opportunity – you must really listen to customers and ask them what they think …or dig into customer data – you’ll often be surprised and delighted with what you can find.And one company, Tumbleweed Houses go much further than that – they recruit customers to run workshops and show others to build the company’s products, ‘tiny houses’. This is part of a growing tiny houses movement in the the US and worldwide. 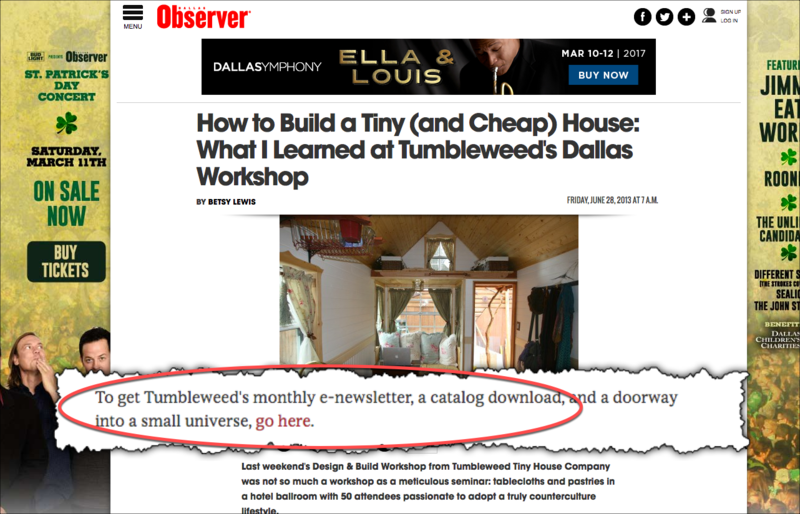 And the prospect of learning about it and meeting the people involved, was attractive enough to bring journalist Betsy Lewis of the Dallas Observer along to one of the workshop events.So what is a tiny house? So what is a tiny house? Inviting a journalist to try out your product or service is a popular PR tactic, but Tumbleweed went further. By inviting the journalist to one of their workshops where they would meet ordinary people who had built their own tiny houses, and people who were just thinking about it. From the article, it’s clear that Tumbleweed were confident enough to give Lewis free rein to mingle with the participants and ask questions. 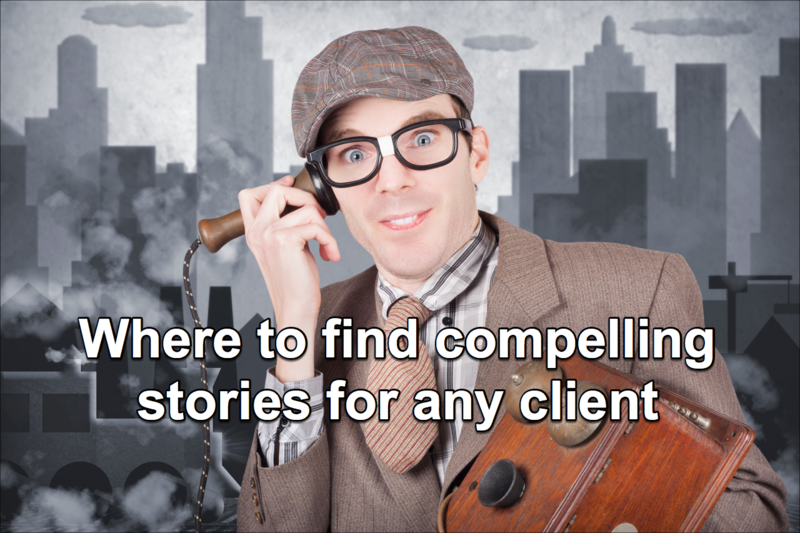 How can you approach customers for stories? First, ask your client and make sure they’re on side with the idea. Some will happily give you some names you can call, some may email their customer base and ask for volunteers, others might have retail space or events where you can talk to customers. And when you do get to talk to customers, remember it’s not testimonials you’re after – what you want are real stories told from the customer’s point of view. Founders are probably the hardest group to reach if you’re a humble link builder – you just may not have sufficient clout to get talking to them, let alone arrange a formal interview. In my consultancy work, I do get the opportunity to talk to founders direct, but one thing I always try to do is chat outside the formal meeting structure and carefully listen for off-hand remarks that may be the kernel of a great story.I’ve got several great stories from developing these seemingly unimportant comments into great new stories. I’ve got several great stories from developing these seemingly unimportant comments into great new stories. I was reminded of this when I came across a great article by Curtis Sparrer on AdWeek, ‘When No News is Good News’. Yes, that right. And it’s worth repeating. There is no news. Sparrer highlights a problem that many PR people, both new and experienced, suffer from. Namely that breaking news stories such as new product launches are few and far between – and if you depend on them alone to feed your PR campaign, you’re going to get slim pickings. This is the sort of throwaway comment that many might miss or ignore. 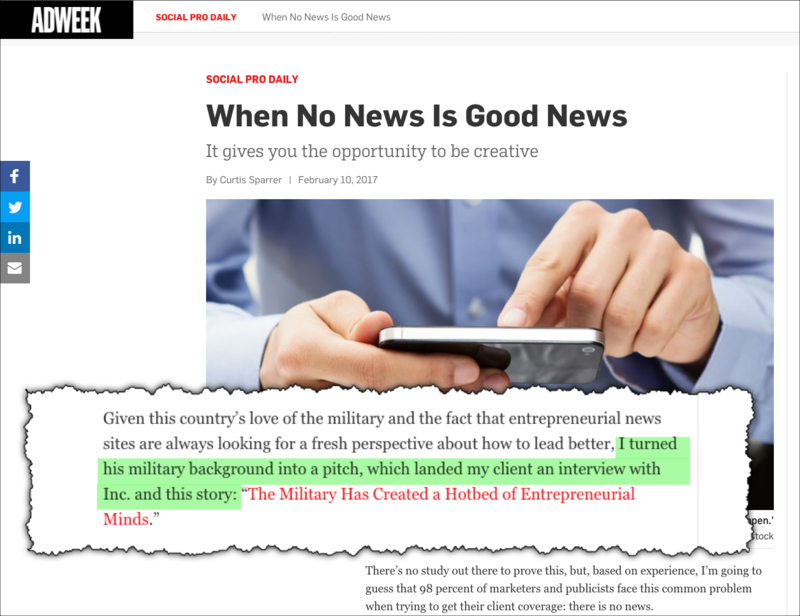 Not Sparrer, in his head the remark sowed the seed of an idea for a fresh perspective about how to lead better – based on his client’s military experience. 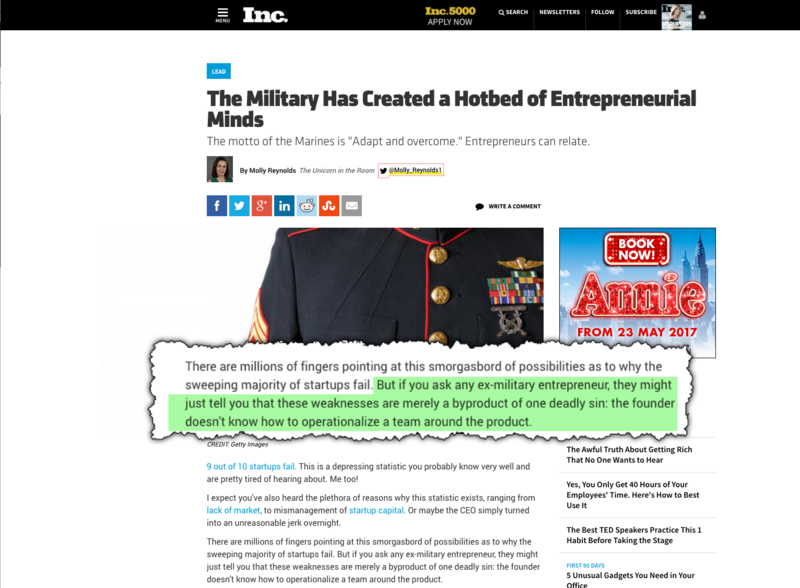 In the article on Inc.com, journalist Molly Reynolds reports a study that says that CEOs with military experience made up 8% of all CEOs in the Fortune 500. She then goes on to quote from a conversation with a US Marine – who I presume is Snapper’s client. I’d made an educated guess that having the opportunity to have a conversation with a real US Marine was the trigger that decided her to write the story. Without his input, the story would have been a mere report of a survey – hardly worth writing about. How can you approach founders? Founders are probably the hardest group to reach if you’re a humble link builder. But that doesn’t mean you shouldn’t try. Is there any way you can get close to the CEO? Talk to your contacts in the business – can they help? Is there any way you can get close to the CEO? For example, talk to your contacts in the business – can they help? But even if you don’t immediately fancy your chances of getting a chat, you can still make this approach work. Here’s how. Gather all the material you can about the founder(s) – previous interviews, articles or profiles. Sift through the material and look out for throwaway lines that are reported but not developed. I remember reading through a long dull interview with the CEO of an air filter company – and it was tedious. But my persistence was rewarded. Right there in the final paragraph, I found a fantastic quote with great potential – that the air inside your car was 6 times more polluted than the air outside. Yet the writer hadn’t followed up on that – it could have made a tremendous story! So stick with the reading – and it’s important to read carefully, not just scan the documents. Write a summary of key points that could be the basis of something newsworthy, and then pitch your idea to the CEO or whoever is in charge of PR. Write a summary of key points you come across that could be the basis of something newsworthy, and then pitch your idea to the CEO or whoever is in charge of PR. And if after all that preparation, you do manage to talk to the CEO, pay attention to small details. Build rapport and listen for throwaway remarks that could turn into gems. So who is an influencer? We could mean a social media influencer on Twitter or LinkedIn, but according to social@Ogilvy Who is a influencer?, there is a wider and much more useful definition. So the definition of ‘influencer’ depends on the brand and the nature of the campaign. So influencers may not be ‘industry experts’, but almost any group that the target audience regard as influential.Let’s take the case of Dreams.co.uk, who sell beds and mattresses. Let’s take the case of Dreams.co.uk, who sell beds and mattresses. A narrow definition of influencer might limit them to sleep experts, insomnia specialists and so on. But a broader definition might include any public figure recognizable to their target market, who has a great story to tell about sleep. 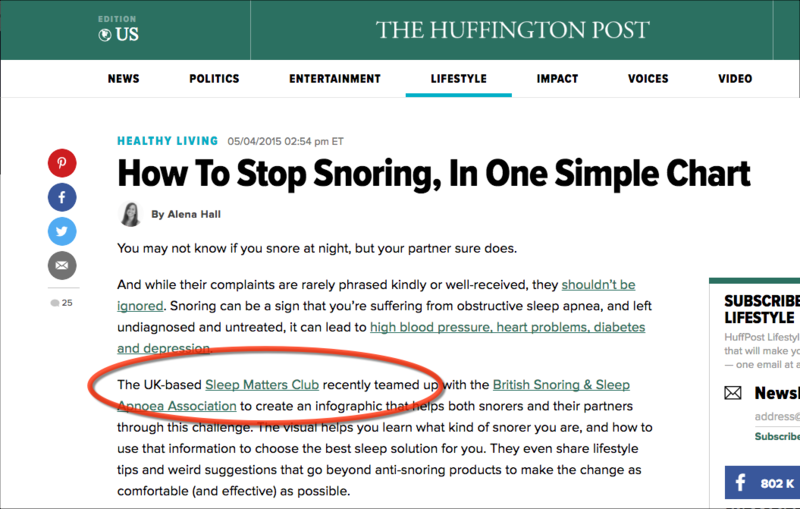 And that’s the broad approach they took in developing The Sleep Matters Club. Their blog is packed with great stories from a wide range of people – wildlife videographer, world class athletes, politicians and many more. The Sleep Matters Club publishes a lot of useful infographics, but I think the real value of the blog is really in the quality of the influencer stories they create. This is just simply a wonderful piece of writing that you’d be happy to see in any top-notch publication. 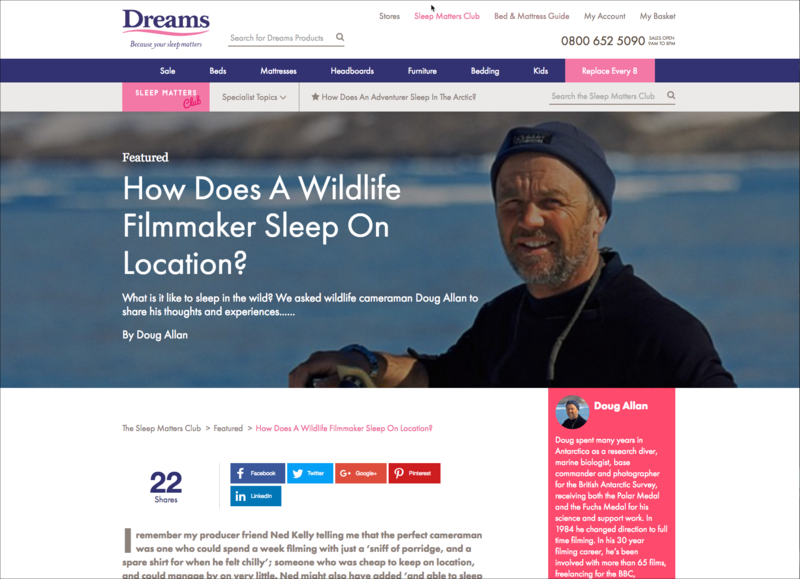 And who wouldn’t be curious about how a filmmaker does get to sleep in the wild? Whether they be teacher, blogger, doctor – or any member of a group that’s important to your client, you’ve got to reach out to them.And you’ve got to recognize that just enough of them will have fascinating stories to tell. Recognize them, respect them, reach out to them and they’ll offer you valuable advice and opinions that will make your content stand out. And you’ve got to recognize that just enough of them will have fascinating stories to tell. Recognize them, respect them, reach out to them and they’ll offer you valuable advice and opinions that will make your content stand out. They’ll offer you valuable advice and opinions that will make your content stand out. The examples I’ve given show the power of personal stories in attracting attention, media coverage and editorial links. But such stories are rarely handed to us on a plate. We have to dig for them, we have to spot the golden nuggets among all the dirt and gravel, and finally, we have to polish them and shape them into something spectacular.